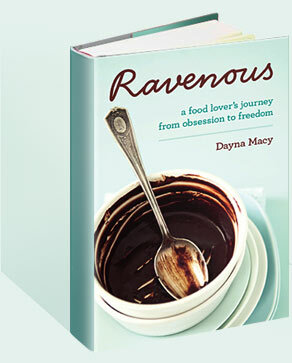 2013 July — Dayna Macy, author of "Ravenous"
In Ravenous, I wrote about trying to disentangle myself from various food habits — too much sausage, too many sweets. Two and a half years have passed since it was published, and I find myself still wrestling — this time, not so much with the sausage or chocolate, but with my habit of holding on to them. If we are not defined by our struggles, then who are we, really? And what do we do with all that blessed freedom?